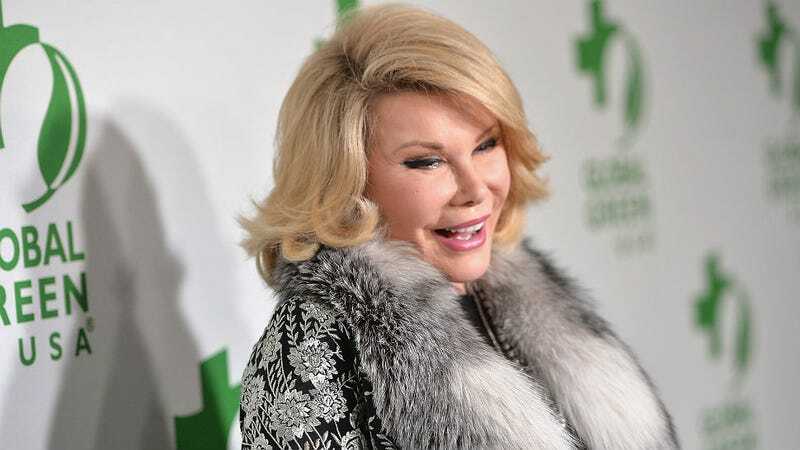 Yorkville Endoscopy, the New York City clinic where Joan Rivers died during surgery last September, no longer meets the standards necessary to receive Medicare and Medicaid funds. According to the AP, the specialty clinic lost its federal accreditation because it "no longer meets the conditions to be a supplier of ambulatory surgical center services." The Centers for Medicare Services are terminating Yorkville's Medicare health benefits agreement on January 31, making the business ineligible to welcome government dollars given to Medicare and Medicaid members. Joan Rivers died on September 4, 2014.